Kate Marks, MSW is a body-centered psychotherapist, energy/ sound healer, polarity therapist, ordained minister, spiritual counselor, life coach, shamanic practitioner and ceremonial guide in practice since 1972. Kate has worked with many pioneers in the human potential movement and have extensive background in somatic therapies, trauma recovery, expressive arts, shamanism and vibrational sound healing. She is a singer, drummer, author of Circle of Song: Songs, Chants and Dances for Ritual and Celebration, and has produced CD recordings of circle songs, chants and sound healing meditations, attunements and activations. Her work helps individuals unlock their potential, express their authentic selves, dissolve blocks, release trauma, free their voices, connect with their passion, purpose and soul essence and accelerate their spiritual growth and evolution. 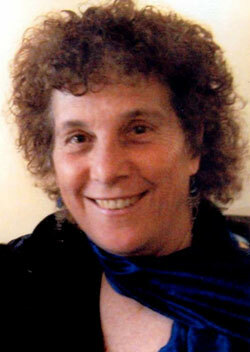 She draws on over 50 years of experience in many disciplines to create a unique therapeutic and coaching program. I have been a seeker and explorer most of my life. My father worked for the foreign service, so much of my childhood was spent journeying to far off shores, living in Europe (Switzerland and Greece) speaking fluent French, interacting with many peoples and cultures. Over more than 50 years, I have continued to live overseas for periods of time and travelled extensively in North America, Asia, Central and South America, and the Caribbean. My inner seeking and spiritual explorations began in the 1960’s when I was in graduate school at the University of California in Berkeley, training to be a psychotherapist. This was a time of tremendous change in our culture, a time of renewed freedom, activism and consciousness expansion. It was the beginning of the human potential movement, and the birth of Esalen Institute, one of the first holistic growth centers, located in Big Sur, California, which is still going strong. I was swept up in this powerful movement of awakening and transformation and was fortunate to associate and study with many of the pioneering therapists, artists, teachers and researchers of the day. After graduation, I worked with children and families for several years as a social worker in schools, but soon moved beyond my traditional training. I realized that “talk therapy” and verbal analysis were not enough, that un-released, repressed emotional and sexual energy could produce actual physical blocks within the body, creating body armor and dis-ease.I felt it was imperative for me to work with my body and energetic, biological experience as part of my recovery and healing process. I became deeply involved first as a client and then as a therapist in alternative therapies, especially body-centered therapeutic approaches such as Gestalt therapy and Bio-energetics, based on the work of Wilhelm Reich. 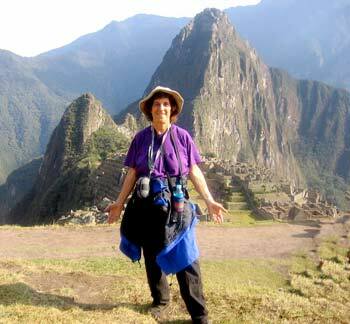 It was mainly through these body-centered therapies that my own healing journey unfolded. As a child, I was often dissociated, with difficulty living in my body and on the earth plane. I experienced emotional trauma, deep depression, and lack of rootedness, exacerbated by a lot of travel, living abroad for six years up to the age of 12 and not receiving the nurturing, attention and support that I needed. I became isolated, ungrounded and barely functional, shutting down, numbing myself and stifling my voice.I put on a good front, went through the motions, trying to please others, but felt totally lost inside, out of touch with who I really was and my needs. It took many years to recover, to find myself, and become more connected, embodied, grounded and whole. Along side my own therapy, I studied more and more, started my own private therapy practice and began leading groups and workshops. In the early 70’s, in addition to body-centered psychotherapy, I trained in massage, polarity therapy and Reiki which became important foundations for my hands-on body/energy work. At this time (1970 or so), I also began awakening to my own spiritual path, studying meditation, exploring psychedelics, and receiving initiations from spiritual teachers and masters, especially from Sufi, Bhakti yoga and shamanic traditions. I lived in an ashram for six years.I had life changing self- realization experiences where I connected with my soul, higher self and the “oneness of all”. These all forever changed my understanding of who I was, my divine plan, and life purpose. As the years passed, my focus turned more and more to metaphysical studies and energetic/vibrational healing. Most importantly, I developed a strong passion and expertise in the use of sound, and the voice in healing, which I love to share and integrate into all facets of my work. In addition to singing, chanting and vocal toning, I use a computerized program to analyze the frequencies of the voice to determine imbalances as well as Tibetan and alchemical crystal singing bowls, tuning forks, bells, gongs, harmonium, drum, percussion and other sound tools to deepen and enhance my sessions and presentations. I am currently in the process of writing 2 books on my work; one focussing on vocal toning and sound healing and the other on ritual and transformation.These are companion books to my already published ceremonial songbook called Circle of Song: Songs, Chants and Dances for Ritual and Celebration. My healing and counseling work has become more potent, subtle and refined over the years, and my spiritual journey continues to evolve, deepening my knowledge and realization that all paths lead to the same source, that we are all vibration, all love, all connected in oneness and that what we seek, the God source we yearn for, is not outside of us, but within each of us. I embrace the philosophy that we are already in divine perfection and wholeness,that there is nothing to fix.Dis-ease is a sign that we are out of balance, out of touch with our sacred source. It is only our beliefs and conditioning which limit us and make us believe that we are sick or victims. We are the creators of our reality and we have limitless power to transform ourselves. 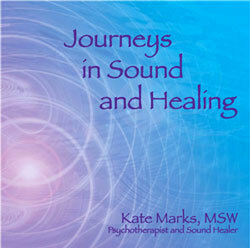 I AM HONORED TO SHARE HARMONIC JOURNEYS AND MY THERAPEUTIC AND COACHING SERVICES WITH YOU.